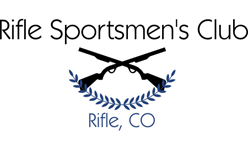 This match will be held in place of the regular CQ match, it will be 6 stages and will stress both precision and practical AR shooting skills. Know your zero! The targets will be from 20 to 400 yards and the match will be limited to 24 shooters. We will try something different for this match, we will have teams of 2 with a combined score, however, the teams will be chosen at RANDOM. Come out to the match and have some fun with your AR. Sign up is at 0830 with safety briefing and match starting at 0900. Please note we will need some extra binoculars and spotting scopes with tripods. 3. Arrive zeroed, YOU MAY NOT ZERO AT THE RANGE PRIOR TO THE MATCH! 8. Know your come ups for long range shooting! Please let us know if you intend to shoot the match, due to the limit on the number of shooters.